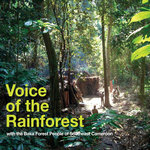 get a free video of Nawa, live in the Cameroon rainforest, with every download. As well as their share of royalties, any amount you pay over £7.50 will all go to the Baka musicians. 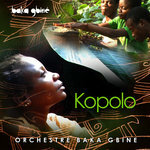 A new album, Kopolo, recorded in Feb 2012 will be released this year. Gati Bongo is the amazing and compelling debut album by Baka Gbiné, recorded live in the rainforest of Cameroon in 2004 and 2005. 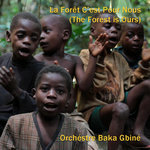 It comes as the result of regular visits to the Baka's homeland by British members of Afro-Celtic band Baka Beyond. The album was recorded using a solar-powered mobile studio set up under a giant tree deep in the forest, and completed in England at Martin Cradick's studio in Bath. 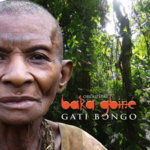 Royalties earned by Baka Gbiné are channelled back to the Baka musicians and their communities through the UK based charity Global Music Exchange. This money has already enabled them to win land rights and recognition as Cameroonian citizens, as well as funding the building of a medical centre and a beautiful 'music house'. 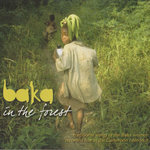 These positive steps help protect the Baka's forest environment and unique hunter-gatherer way of life.